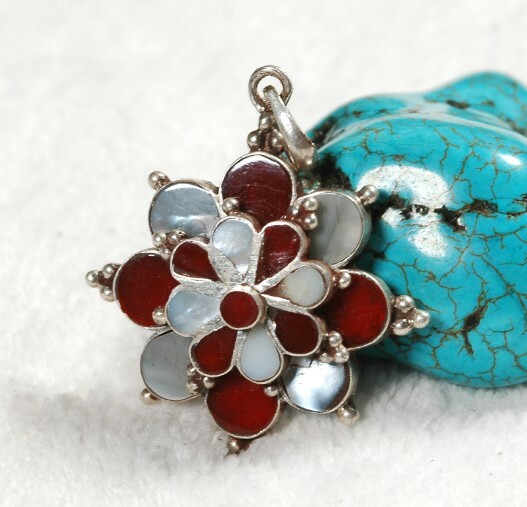 Handmade Tibetan Jewelry Tibetan Flower Pendant. 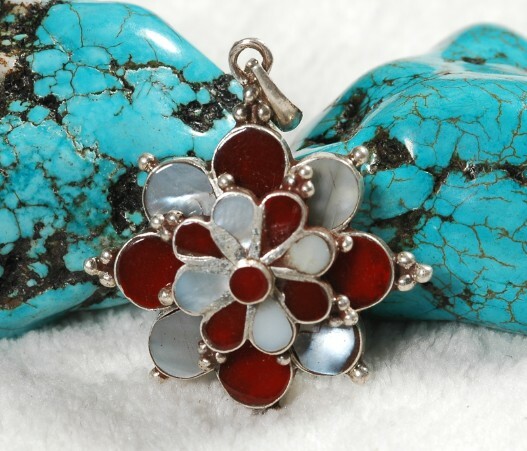 This pendant is made by sterling silver, pearl shell, and red coral. The size of the pendant is 29mm*29mm ..